The first ever CLS AMG Sport model takes the vehicle’s eye-catching looks to another level. With an instantly recognisable single-louvred grille, 19” AMG 5-spoke alloys, it is as distinctive as it is dynamic. Attractive full-LED headlamps. The interior features the sports steering wheel, trimmed in black nappa leather in 3-spoke design, along with pedals in stainless steel with rubber studs, and floormats. In addition, every CLS handles and responds like a sports car, thanks to the electromechanical steering, sports tuned suspension, and the upgraded braking system. 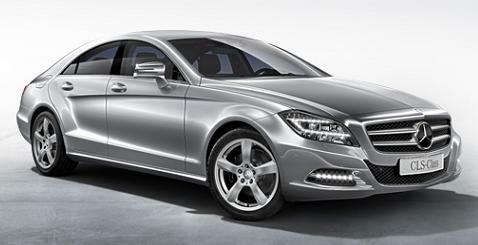 In addition, the CLS 250 comes with Becker SAT NAV for first-class sound, route planning and communications. Other standard equipment includes climate a/c for your ideal cabin temperature and rain-sensing wipers that automatically switch on the headlamps in wet weather. The Mercedes CLS 250 leasing examples shown above are based on a Private Lease or Business Contract Hire agreement for company or personal drivers, based on a 2 year term with an annual mileage of 10,000 miles. 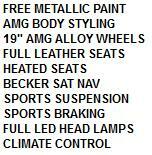 Please click below for a free quote on other terms and miles. We take great pride in supplying the best and cheapest leasing offers available.